The Most Unique Friendship Bracelets We Found Around & They Seriously Rock! Remember the days when friendship bracelets were all the rave? We would make them ourselves before the friendship day and then tie it up on wrists of people we cherished the most. They were like the seal of our bond with those people and carried the utmost significance in our relationship. Relive those memories with the fifteen chosen bracelets and find out new ways to wear them! Friendship bracelets are obviously the marks of friendship which we often carry on our wrists. It is mainly worn by kids and teenagers to celebrate friendship day, but adults are also interested in wearing it or gifting it to each other. They are usually very decorative and made from cotton threads. Sometimes beads and charms are also added for ornamentation and some extra style. They represent the bond of friendship globally. Its ritual has been going on for a long time all across the world! 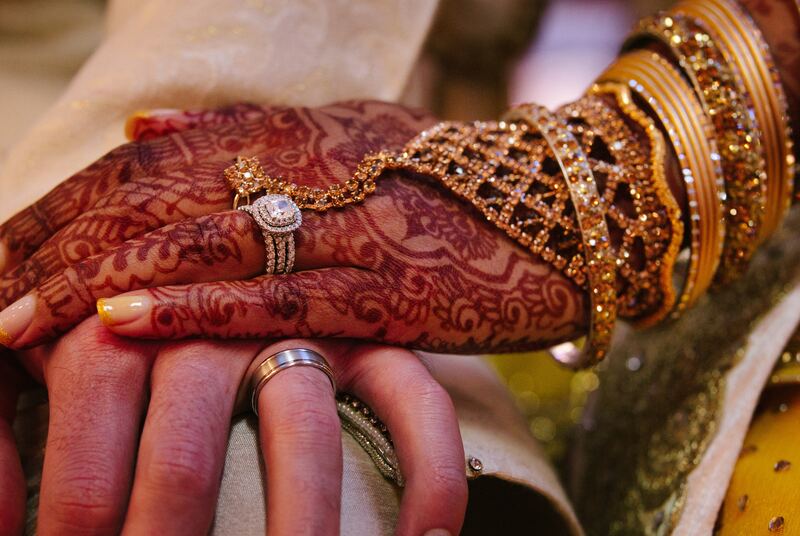 According to traditional beliefs, the receiver of such gift needs to keep it on his or her hand until it falls off on its own. Where did the custom start? It is assumed to begin in Native and Central America through their traditional fiber arts. 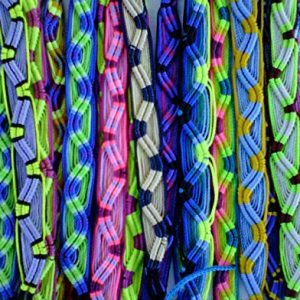 They used to make similar bands for hands and ankles with bright threads. It came to modern America first in the 70s as a hippie style. Soon general people, especially the youth, fell in love with its vibrant and casual spirit. Since then, it has been worn as an accessory to multiple looks and still has demands everywhere. A low-key style accessory, as well as a token of friendship, is this cuff bangle bracelet made by Kendasun Jewelry. On the simple and slim high-grade stainless steel surface, a beautiful message is written in laser, etched with black enamel. 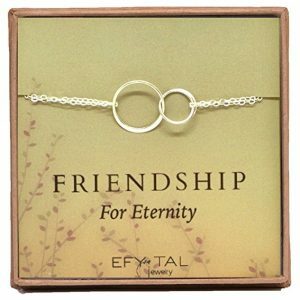 It says – “A true friendship is a journey without an end”, embodying the true essence of the bond. True friends never leave our side even if they are not present there physically. No matter how far we go from each other, the bond never breaks. Whenever we see each other again, our faces light up with joy and that reminds us, friendships really are endless. Since it is made of stainless steel, we can assure its durability. It will never fade, peel, corrode, crack or rust. Moreover, it is hand-polished to get that spectacular shine and smoothness. Also, it weighs very little but is not flimsy by any means. This bracelet will suit wrists from 6 to 7.5 inches. Since it costs very low, you can consider this as a present to your best friend if you are on a budget. If you are one of the lucky people who has been blessed with more than friends in a lifetime, who have not left your side, this mix is for you. 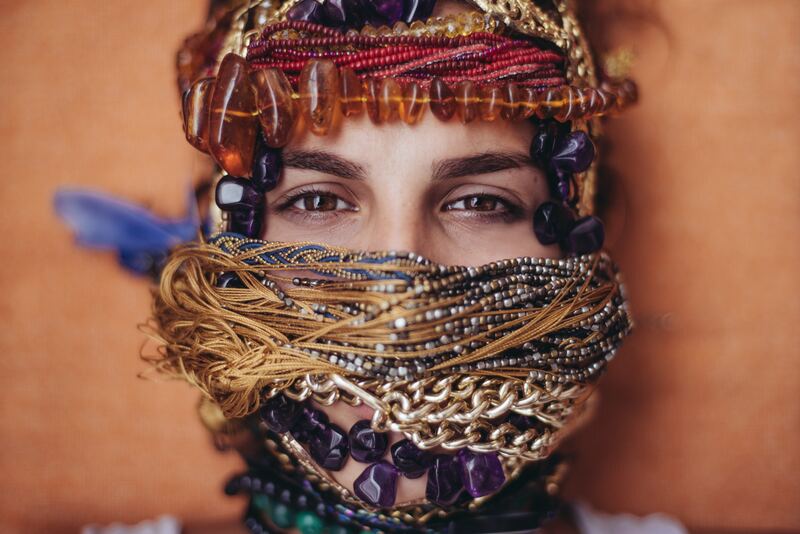 It includes 25 pieces of handmade friendship bracelets from Peru, each of which has a touch of warmth. They come with individual color combinations with similar but non-identical traditional patterns. Some of these patterns are twist, fish, tornillo, zigzag and crisscross. Funky shades of cyan, pink, orange, black, yellow and more are found here. Each of these handcrafted bracelets is approximately 24 centimeters in length. With one of these collections, you can make multiple friends happy. That can be a huge advantage since its cost is also very low and provides an incredible value for money. 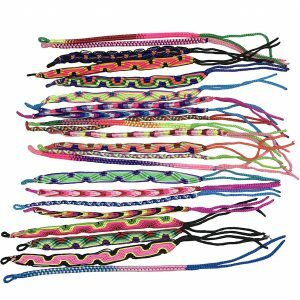 They will also take you back to the early 2000s or 90s when most of us celebrated friendship day with bracelets just like this! 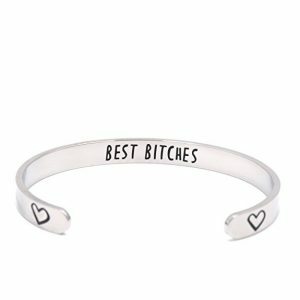 Represent how close you are to your friends by giving them this bracelet. Here two infinity circles are locked with each other for life and you cannot take out one without breaking the other one! That’s what a strong friendship should be like. Two friends cannot be separated unless one of them breaks the bond or is broken herself. This one is made by the well-known brand of Efy Tal Jewelry and it keeps up their reputation with the high quality. The whole thing is made of 925 sterling silver. Hence it will not react to your skin by making it green, red or just itchy. The material is also guaranteed to be hypoallergenic as well as free from lead and nickel. 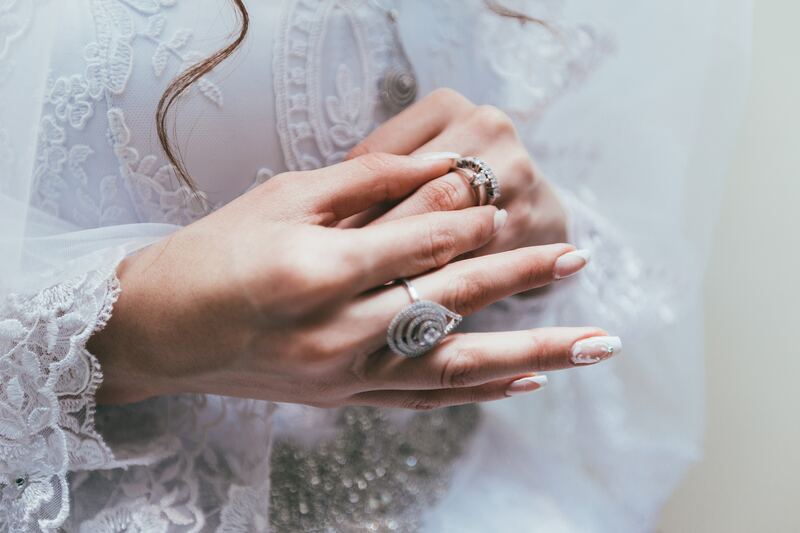 The length can be adjusted from 6.5 to 7.5 inches and thus can fit almost any hand! The classy package along with the pretty gift bag of white, yellow and pale blue, make this a very elegant gift for friends. Due to the top-notch build and quality, it comes at a little high price but is totally worth it! 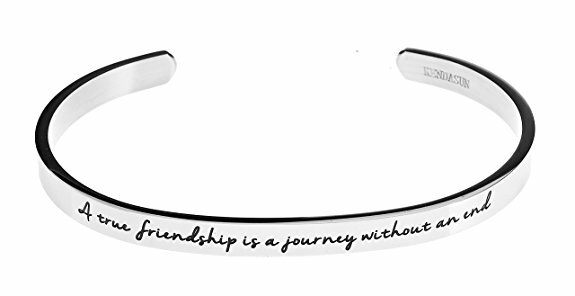 This minimalistic bangle bracelet carries a heavily meaningful quote about friends on its big white pendant. In a font reminding you of the innocence of fairytales and cartoons, it is written in black that “Good friends are like stars. You don’t always see them but you know that they are always there.” What a delightful analogy! Once you grow up, it is very hard to regularly meet up with our friends in the busy life of hustle and bustle. We struggle to get some time for ourselves even. As a result, days go by without seeing or hanging out with each other. In this way, friends become physically distant and almost invisible like the stars. But we all know deep down that this absence is temporary. They are still shining behind the clouds and smiling at us. Apart from this thoughtful saying on the pendant of 2.5cm diameter, this bracelet has a lot of other advantages too. It is made of non-toxic stainless steel and thus is free from rust or color change problems. It weighs only 13 grams which means your friend will not find it difficult to wear this bracelet at all times. Besides, its price is also incredibly cheap! Let them know how important they are by gifting this in the cool and cozy gift bag. Another minimalistic design is portrayed by this cuff bangle bracelet from Likimar. It comes in color variations of gold, rose gold and silver. There is also a package offer where you can get one of each color. Since these are kept at a very affordable price, buying three at a time should not be a problem at all! Each of these colors looks just as rich as the other two. 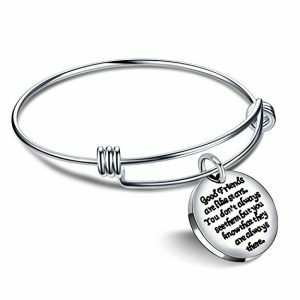 On its shiny metal surface, two short lines are engraved which have made this product a perfect gift option for female best friends. It reads “Always my sister” and “Forever my friend” consecutively. Between these two quotes, there are two interlocked hearts to represent the intimacy between the friends. We all have friends but very few of us get to be so lucky to find a friend who becomes almost our sister. After spending years with them through all the ups and downs, there comes a time when we realize she knows all our flaws. Yet she stays and accompanies us through our struggles even more! 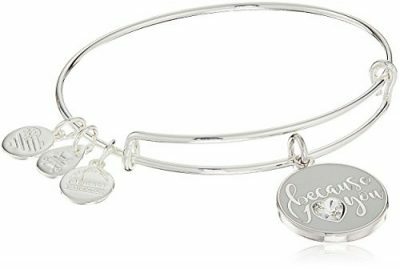 This bracelet is perfect for them and the premium 316L stainless steel material makes it even better! No possibility of cracks, fading, rusting or corrosion just like the bond! The luminous high shine finish makes it look like a pricey jewelry, but actually, it is a very affordable one. Alex and Ani have been making meaningful and eco-conscious jewelry pieces for a while now. They have also been working with the American Heart Association to help in their fight against heart disease. As a part of that effort, they started the Charity by Design collection in 2014, from which they donate 20% of all sales to the association! That is why, even if the price of this set is high, you will be doing both your friend and the heart patients a favor by buying them. 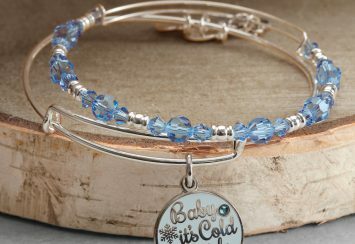 There are two identical bangle bracelets in this set – one for you and one for your friend! Both of them have multiple charms but there is one that matters the most. One heart is broken into two and one half is given to each bracelet! So by gifting this to your friend, you will pretty much be making the statement that your hearts are connected no matter what! If you ask us, we would say it is also a pretty subtle way to get yourself out of the friend-zone! Gift this to the guy or the girl you have been crushing on for a while but cannot tell them that you want to be more than friends. Just present them with the golden or silver version of this and hopefully, they will get a hint! 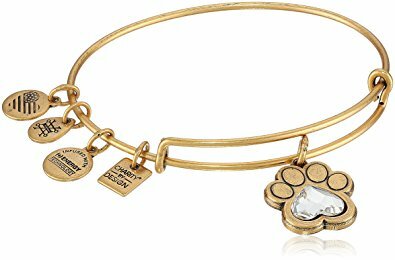 Another beautiful creation from Alex and Ani is this charming bracelet with four charms! Three of them are small and one is a bit bigger. On the big oval charm, there is an exquisite floral design on one side and three words written on the other to describe your friend – loyal, supportive and inspiring. 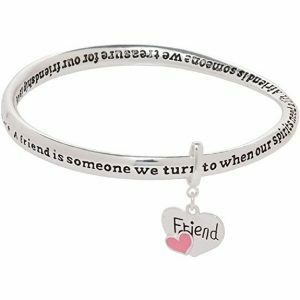 This expandable bracelet is for that one friend who has always stood by you even if the whole world went against you. This is for the friend who you treasure the most, who has all your secrets locked up in the closet of their hearts, far from anyone’s reach. The rest of the bracelet is pretty simplistic in nature and can be adjusted in size with a sliding clasp. It is available in three shades of gold, rose gold and silver. The weight is just 0.4 oz and the cost is moderately affordable. Go back to your childhood and remind yourself of those golden stress-free times, when you and your friends would weave bracelets for each other. 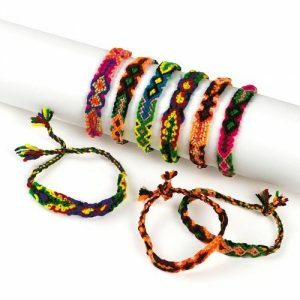 A reminiscent of those days is this pack of woven friendship bracelets! Each pack contains 12 of these handmade bracelets and each one is about 9 to 10 inches long. They are broader than the ones from Peru and have a lot more colors in them. The designs are also very imaginative and unconventional. In spite of the uniqueness, this set actually costs very low! You can also buy one of these sets for your kid’s birthday party or their party at school. 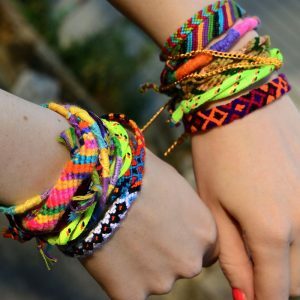 Let them make more friends with these creative and inexpensive bracelets while you cherish the happiness on their face! You can never go wrong with the classic combination of black and white! That is why Believe London made this simple but incredibly stylish bracelet which always comes in a set of two! One of them is full of large black stones and just one white bead that stands out. For the other one, multiple large patterned white stones arrange themselves around one black bead. It almost seems like, they just exchanged a piece of their own with that of the other. So, one always carries a part of the other wherever they end up. These 8mm stones are absolute elegance with their polished surfaces and round structure. The black ones can be agate or onyx stones, while the white ones are always howlite. Both of them are pretty well known and have a huge demand in the jewelry world due to their relaxing aura. A weird aspect is that these bracelets are never sold with the same length! If the black is 7 inches, the white is 8 inches and vice versa. So in case you have a friend who has slightly larger or smaller wrists than you, this will be the perfect gift for her! Another positive feature is that 5% of the profits from these bracelets will be donated to a charity for needy children. Thus, make yourself and your friends feel better by buying this affordable set! Syleia is one of the fastest growing companies dedicated to making quality fashion products for females. 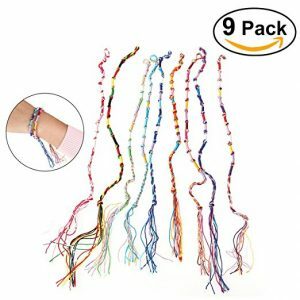 This product from them features a set of 8 friendship bracelets carefully crafted with colorful yarn and beads. These beads also show stunning versatility with vibrant shades and shapes like rose. The palette comprises of red, yellow, green, blue, soft pink, bright pink, purple and white. Overall, the color combination in each piece will ensure an upgrade to your style quotient. Their inclusion can make even an ordinary look a lot more funky and radiant. Each piece is 11 to 12 inches in length. 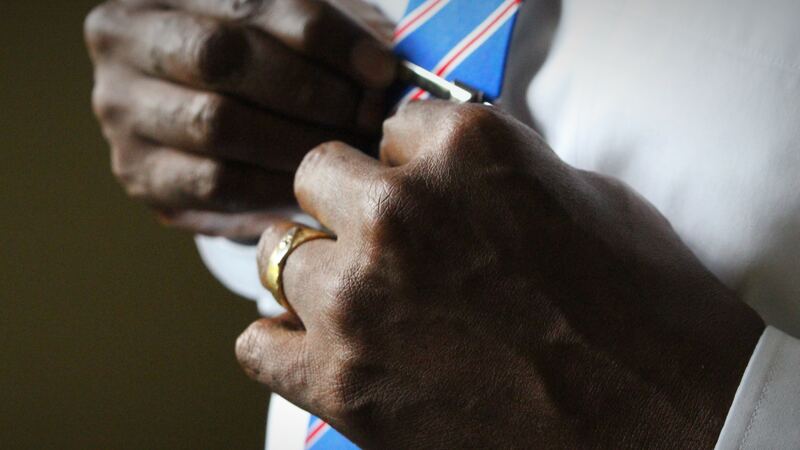 Since they can be tied around the wrist, they will suit almost anybody’s hand. The coordination of vivid colors allows them to be fit for almost all age groups including kids, teenagers and grown-up ladies. It is priced at an affordable figure and will represent the colors of your friendship very well. From the Latin company of Nuolux, comes this set of nine colorful friendship bracelets. They can come in soothing shades of white, pink and sky blue or vibrant shades of red, yellow and black! There are multiple color combinations like this in the pack, so each of your friends can get the one that suits them the most! These bracelets aren’t just braided, they are also knurled and thus can give a different look than other typical ones. They have a hoop on one end and free fringed strings on the other. All you have to do is put the free end through the loophole and tie a knot to prevent it from falling off. They range from 8 inches to 9.5 inches in length. Their cool color combinations and boho style make them appropriate for both guys and girls. You can also wear them on the ankles instead of wrists if you want, adding more to your unique style. The fabric is soft and comfortable. It does not cause irritation or itching of the skin. Its price is also incredibly cheap just like handmade yarn bracelets usually are. If you want a bit bolder message for your friend on the bracelet from LParkin, this would be the one for you. 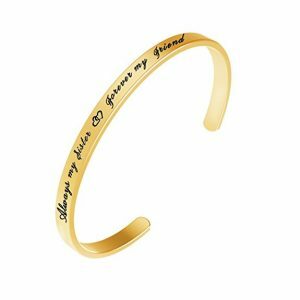 It looks like a simple bracelet from the outside but on the inside, there is a couple of interesting words. A hint for you – the second one rhymes with “itch”. Though this is a much more daring than all other options listed here, it actually brings a breath of fresh air for the same reason! Because many of us are hardly formal or sweet with our buddies. Most of the time we tend to be completely candid and crazy with our friends, which makes the bond even stronger! There is no wall of formality between us and that is why we feel so comfortable with them. To celebrate this dual nature and spontaneity of friendships, gift it to your best friend and see if she can resist a heartful laugh! On the outer side of this affordable bracelet, a heart is drawn at each end making it an adorable present. It is made of stainless steel and it comes ready to be gifted in a branded jewelry gift box. Another box of happiness is this one from Rimobul which features eight traditional handmade friendship bracelets. They are made in Nepal and each one is built with a lot of attention. The vibrant colors are coordinated perfectly to create most visually pleasing patterns. These bracelets are wide enough to draw attention and praise of others for those patterns. They are all made of cotton yarns which means they are super comfortable for your hands. Moreover, the colors do not fade away even if they are used every day. Wrists which measure 6 inches to 8 inches would be the perfect fit for these accessories. This box can be of good use for parties where your kid can share these with other girls. You can also gift these to your friends on a reunion for some extra fun and to relive the childhood. It is incredibly cheap in price and comes with a branded coaster. This is one of the unique pieces on our list since instead of one side, this bracelet has engravings on both! The structure itself is pretty interesting since the band is not fully flat or round. There is a transition from one to the other along the way. A heart-warming poem is written with black enamel on both sides to elevate the depth of this bond. Some of the lines are “A friend is someone who fills our lives with beauty, joy, and grace. And makes the whole world we live in a better and happier place”. It will give the receiver a sense of warmth, acceptance and gratitude. There is also a cute little heart-shaped charm with “Friend” written on it along with a tiny pink heart! This charm makes the whole bracelet even more adorable. The circumference of this bracelet is about 8 inches and it is half an inch in width. Unfortunately, there is no way to adjust it to your wrist. It is very affordable and comes with a gift box so there is no need for you to worry about packaging. 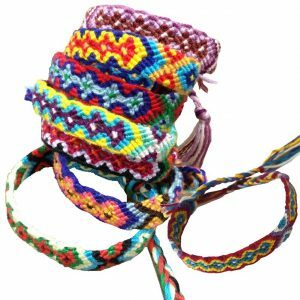 The last entry on our list is another box of handmade friendship bracelets crafted in Peru. Sanyork Fair Trade distributes these bracelets in sets of six and all of them are designed differently. The patterns adopted on these are very distinct compared to all other handcrafted bracelets we have seen so far. There is a wide variety of colors including neon green, bright blue, baby pink, soothing gray and many more. Their combinations along with the unique patterns make a striking appearance for the bracelets. They are not too feminine in motifs and thus can also be used for gifting your male friends on friendship day! 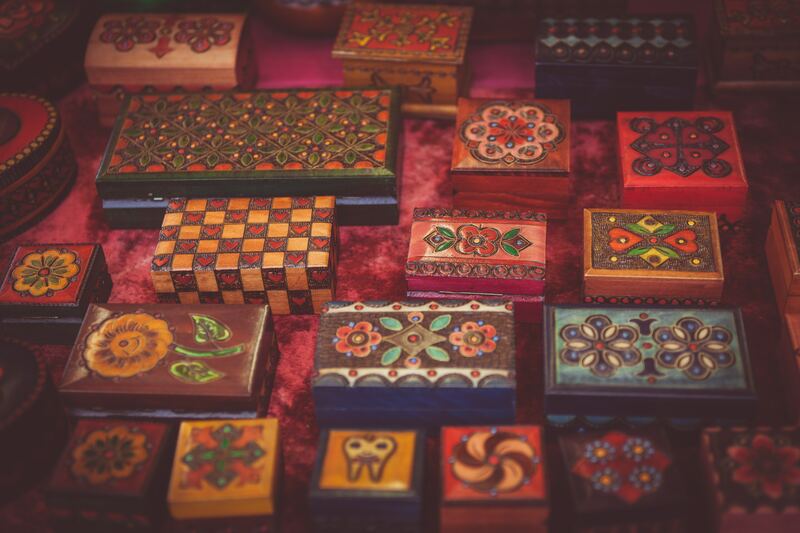 Moreover, this box of colorful goodness is actually the cheapest option on our list and thus would make a very good option for anyone on a budget. Where to wear these bracelets? Kids and teenagers can wear it anytime they want! But what about us adults? We sure do not want to miss out on the fun! 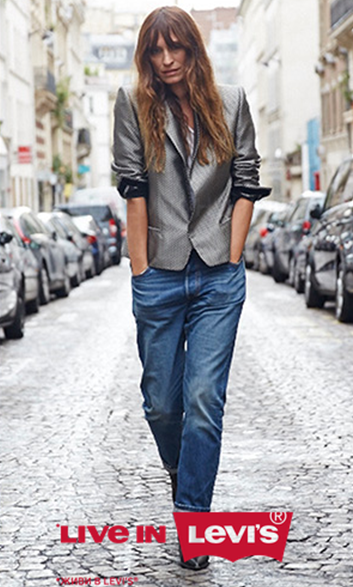 So here are a few ways you can incorporate it into your looks. For a casual hangout with your friends, siblings or cousins, you can wear one to three handmade friendship bracelets to accentuate your informal look. A great option for this would be the bracelets in cool and soothing shades of blue or green. These colors combined with neutral colors or just white can make a chic and friendly look for you. 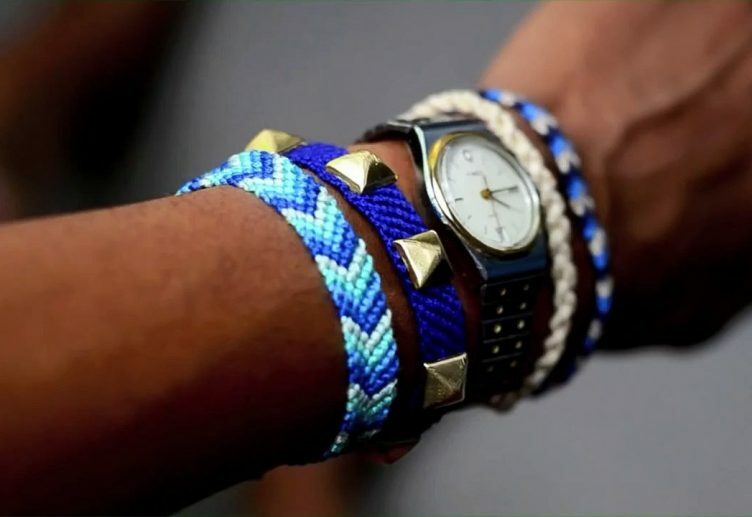 Woven friendship bracelets originated from the bohemian lifestyle. So wearing them while traveling would make a lot of sense. Put on your travel pants, comfy top, sunglass, adventure bag and tie up two to five colorful bracelets on your wrist. Everyone on the vehicle will immediately know why you are traveling looking at the hippie style. It can also be a good conversation starter in case there are more travelers on it other than you. We know, we know! This sounds completely absurd! But hear us out. There are many classy friendship bracelets available now, which come in shades of silver, gold, white and black. You can surely wear any of these colors to work as an accessory to your formal look of black coats, white pants or vice versa. They will add a touch of elegance to the whole look. Attend folk, music or art festivals wearing one to as many of these bracelets as you want! It will add a splash of colors to your look, no matter what you wear. You can even wear it at the beach festivals in summer and make your appearance brighter. The ones made from cotton are long-lasting and will be comfortable in your hands even if they get wet. So get closer to the shore and embrace the waves in these! Nowadays there are bracelets wearable at any kind of party. If you want something shiny to wear at the disco, you can wear the one made of stainless steel. If you need something golden to wear to a sophisticated party, those are available too! 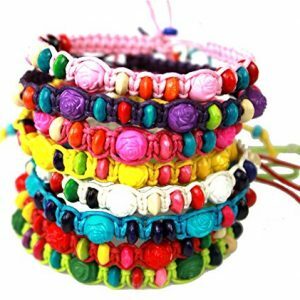 And of course, if you are looking for various shades of color to join a funky gathering, several handmade friendship bracelets can be your ideal option. So pick your favorite from our list and gift the lovely souls on the next occasion or wait for friendship day just like the 90s! Wear them with pride wherever you go and let people know how much you cherish them. May every friendship live forever!